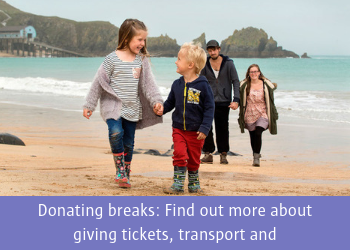 Our aim is to double the number of families offered a break annually by the end of 2020. And organisations are helping us by donating breaks. 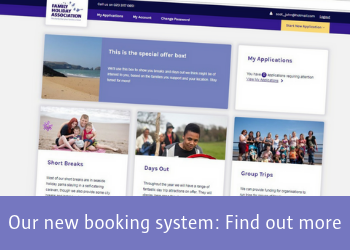 Earlier this year we launched our brand new booking system – we’re now well into the 21st century! We invested in new technology to make the process easier, faster and smarter. Our role is to connect families with breaks, via referrers. All the families we help are referred by somebody already working with them – such as a teacher, social worker or another charity. Part of our job is to make it as quick and simple as possible for them to find a break that suits the family they are working with. It’s just as easy for us to manage tickets, transport and accommodation. Because the system is so clever, we’re able to handle much more information – so we can handle different types of breaks, create packages and tailor them to suit different types of families. This has revolutionised the way that we work and the number and type of breaks we can offer. We’ve made it as easy as possible for organisations to donate accommodation, transport or attraction tickets, to reach those who need it most. 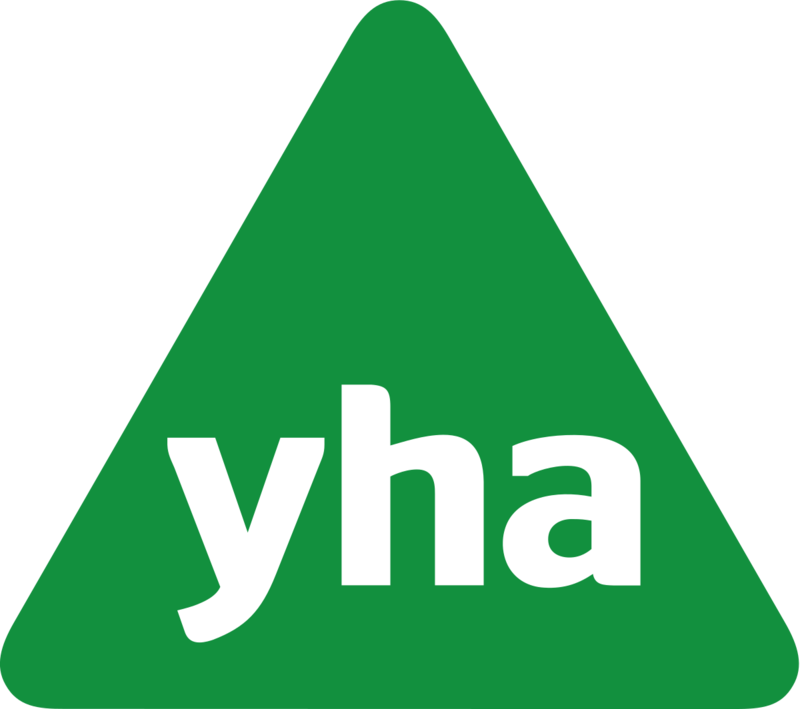 One of the organisations we work with is YHA. They help transform young people’s lives through travel and adventure by providing places to stay and explore. In August we teamed up with YHA to pilot Family Activity Camps. 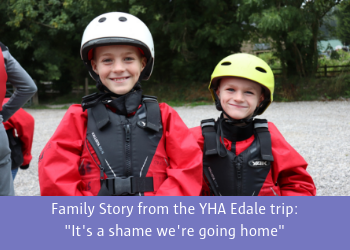 YHA donated the breaks to us, and we were able to give short breaks to groups of families at YHA Edale. 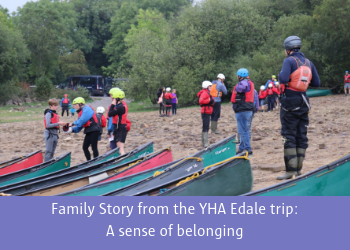 The trips were an opportunity for families from inner-city areas to be active together in the countryside, to have fun in learning when taking part in activities and to connect with other families on the break. 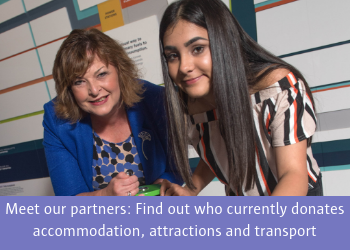 We are always looking for new partners to donate a break – as accommodation, transport or attraction tickets, that we can use to help our families. Over one hundred companies and organisations in the travel and tourism industry already partner with us to offer breaks and days out. 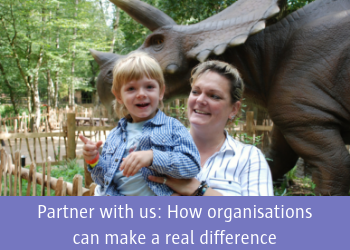 With over 40 years’ experience, backed up by a bespoke online booking system, your donated product can be matched to children, parents and carers who will benefit most. Get involved, donate a break. For more information contact Alex Bunney at alex@FamilyHolidayAssociation.org.uk, call 020 3117 0651 or complete our simple response form.